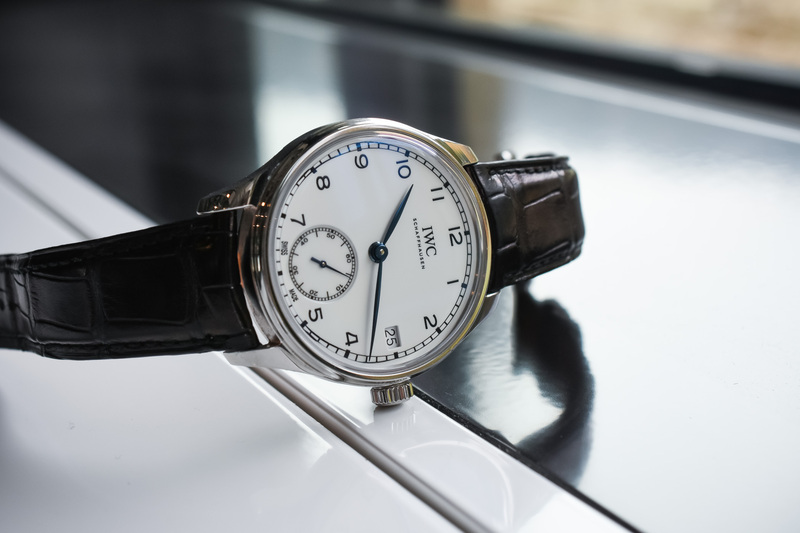 The IWC replica watch is celebrating an important milestone this year and has been previewing works from the epic “150 years” series, all of which are now on display in SIHH 2018. So far, we have seen some very complex works, such as Portugieser Perpetual Calendar Tourbillon Edition 150 Years and the Portugieser Constant Force Tourbillon Edition 150 Years, which highlights the company’s technical strength. Today, however, we’re looking for something more modest, a Portugieser hand-wound version of the Wound “150 years” (Ref. 5102). 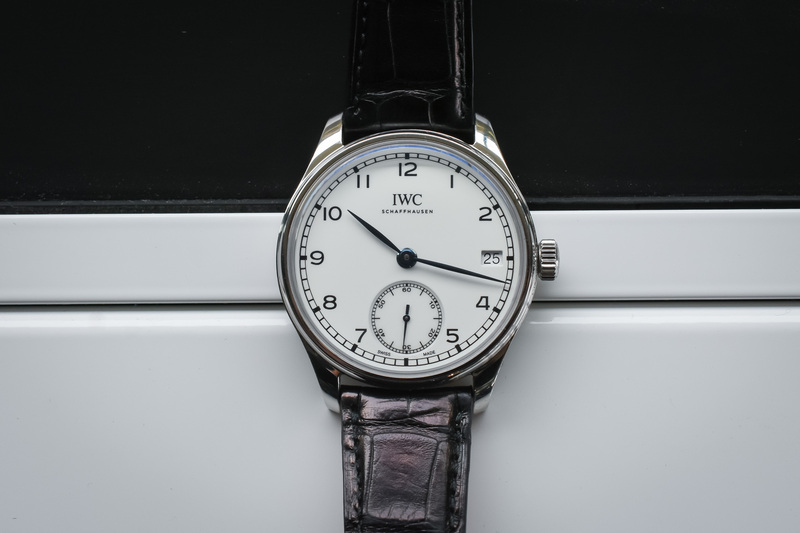 As you may already know, I have a few favorites for fake IWC Portugeiser watches, especially the manually linked version. I often wear Ref for manual wounds myself. I normally rotate 5454. There are some things about the clean dial layout and the large (but) but relatively thin case that do work for me. 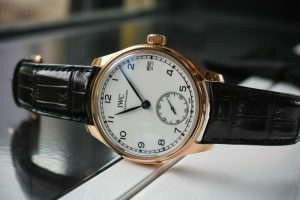 Fortunately, IWC’s universal has not tried this particular ‘150 year’ version of the iconic hand-wound Portugieser, but has chosen to really focus on the appeal of its minimalist design. Two versions are available. One is made of 18K red gold watch case and the other is made of stainless steel with dimensions of 43mm x 12.2mm. The former will be limited to 250, while the latter will be limited to 1,000. Both models have unique white dial and paint, we saw these works in other part of the 150 series, printed with black Arabic numerals and railway ZhangHuan minutes. The small second hand is displayed on a slightly dented auxiliary dial at 6 o ‘clock, while the aperture at 3 o ‘clock indicates the date. The hands are made of blue steel, in sharp contrast to the white of IWC Replica Swiss Movement Watches. As we discussed earlier, these white lacquers, these enamels, these enamels are really special. Made of multi-layer semi-transparent paint, the dial is polished and brushed on a flat surface and then printed multiple times for 3D effects of index and track. At first glance, you can forgive me for thinking it’s made of enamel, although to be sure, nothing is better than the real thing. These limited-edition watches are powered by the IWC’s manual upwind 59215 core, which, as the name suggests, provides an eight-day power reserve. To keep the dial as clean as possible, power storage is displayed on the back of the core, as seen from the sapphire cover. This machine core is equipped with 30 gemstones, a breguet spring, vibration frequency is 28,800 v/ph, simple and elegant remind us why we like cheap fake IWC watches. As a final touch, there is an 18K gold silver jubilee medal on the back of the core.